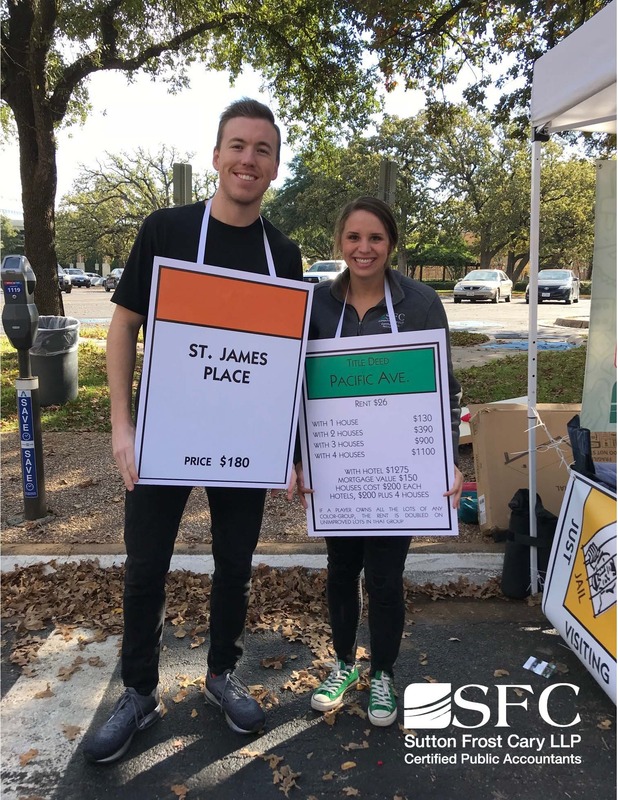 November 3, 2018 Arlington, Texas – Sutton Frost Cary LLP (SFC) participated this past weekend in the Annual Chili Cook Off at the University of Texas at Arlington. 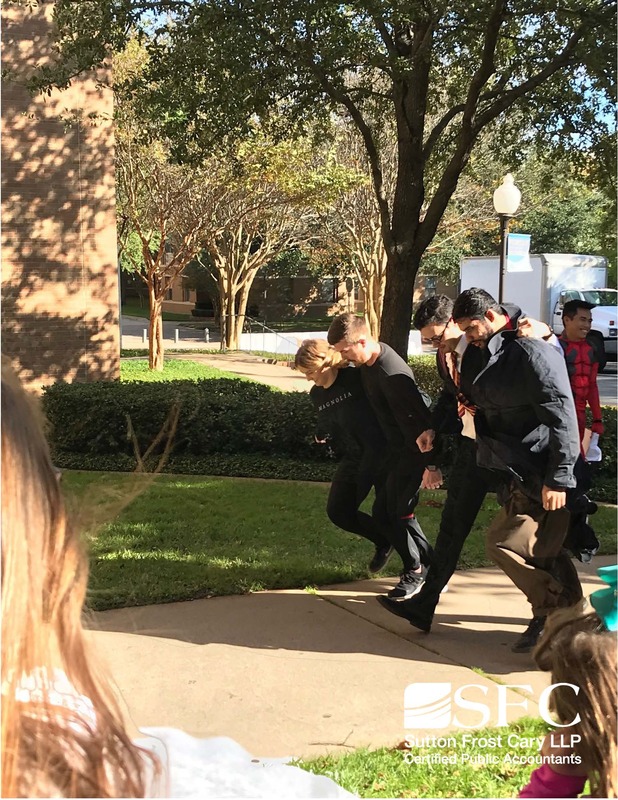 The event was hosted by Beta Alpha Psi and The Accounting Society at the University of Texas at Arlington. 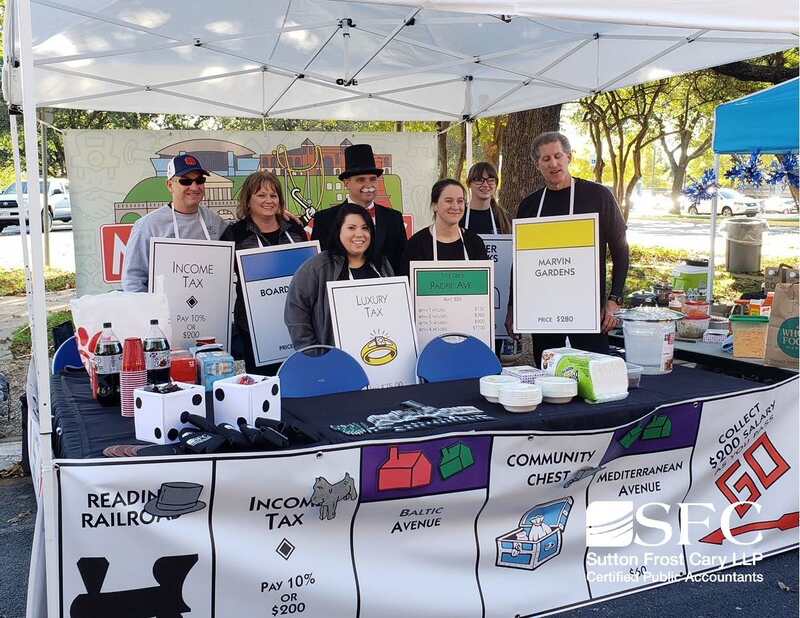 This year the firm went with a Monopoly theme creating a life size board around the booth complete with tokens, houses and hotels! 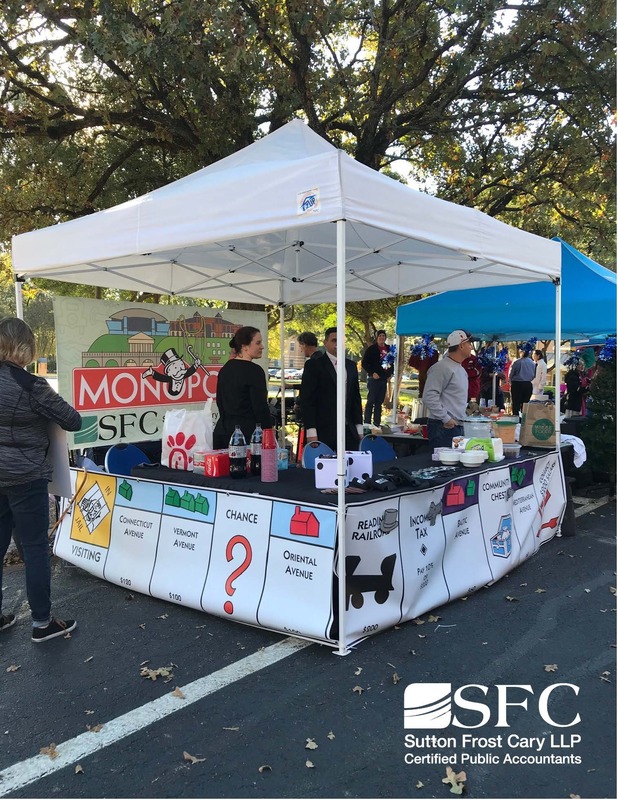 The backdrop of the booth was an SFC Edition of Monopoly banner complete with the skyline of many notable landmarks around Arlington. 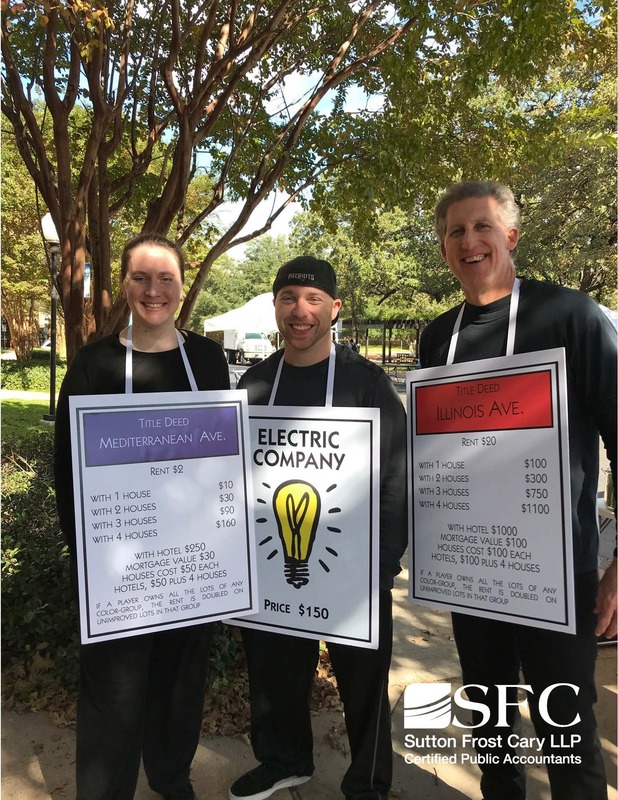 Title deeds and a variety of board pieces were worn by SFC employees to complete the theme. 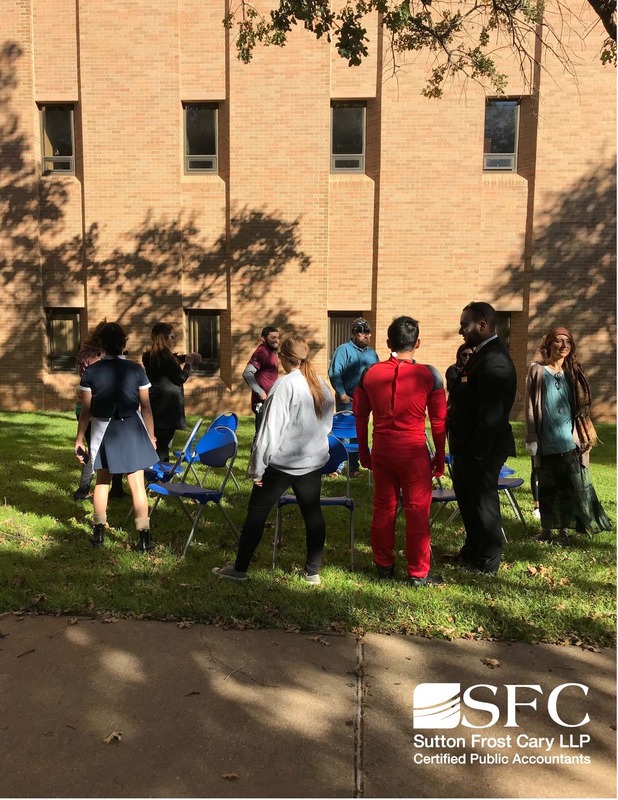 This year, SFC changed their signature chili recipe up quite a bit from the previous years. 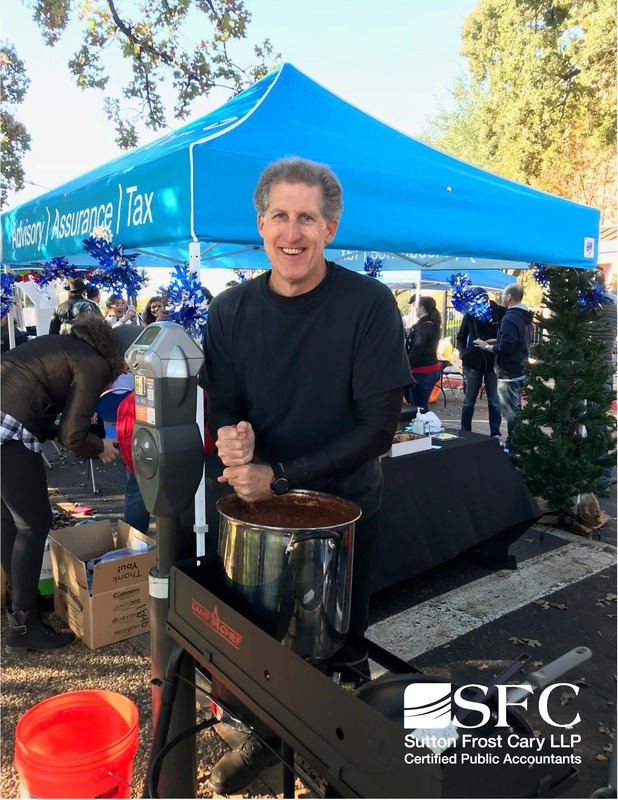 Paul Cary and Bill Greene collaborated to create the most extraordinary chili recipe the cook off has ever seen! 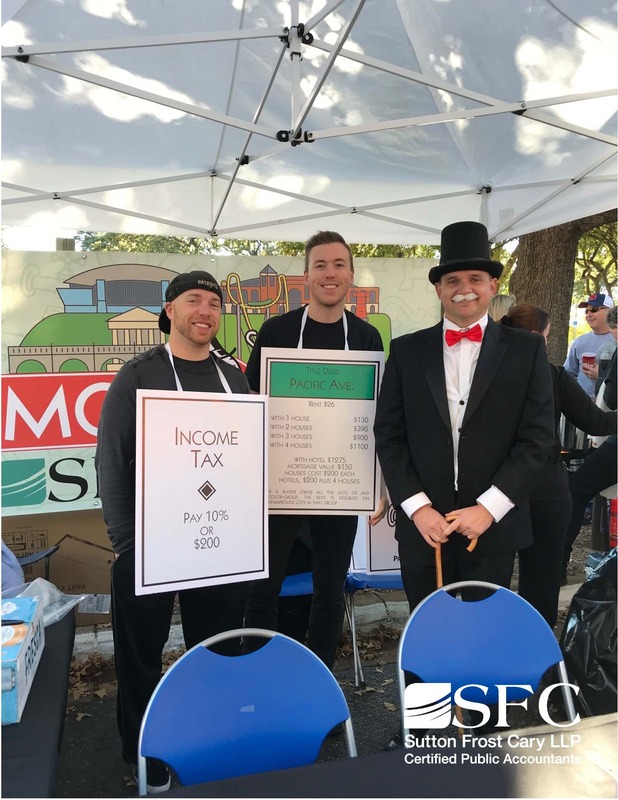 Together they created their top secret recipe titled “Uncle Pennybags Million Dollar Chili”. The marvelous recipe included ground beef, pork sausage and a secret mixture of seasonings and spices. The chili was an instant hit with the crowd and the lines to sample were wrapped around the booth. 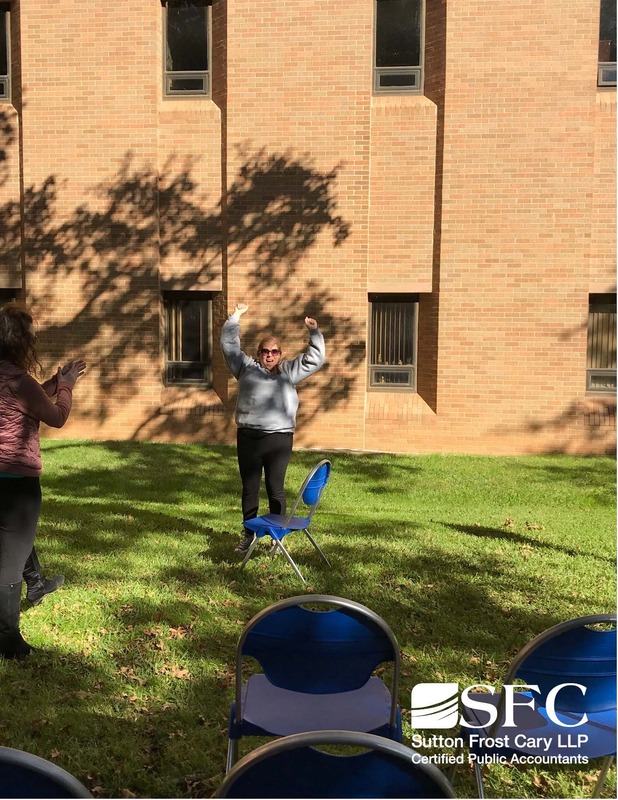 SFC was able to successfully pull off a win during musical chairs thanks to Ellen Barker and took second place overall in the three-legged race thanks to Marshall and Kaitlin Stiles! 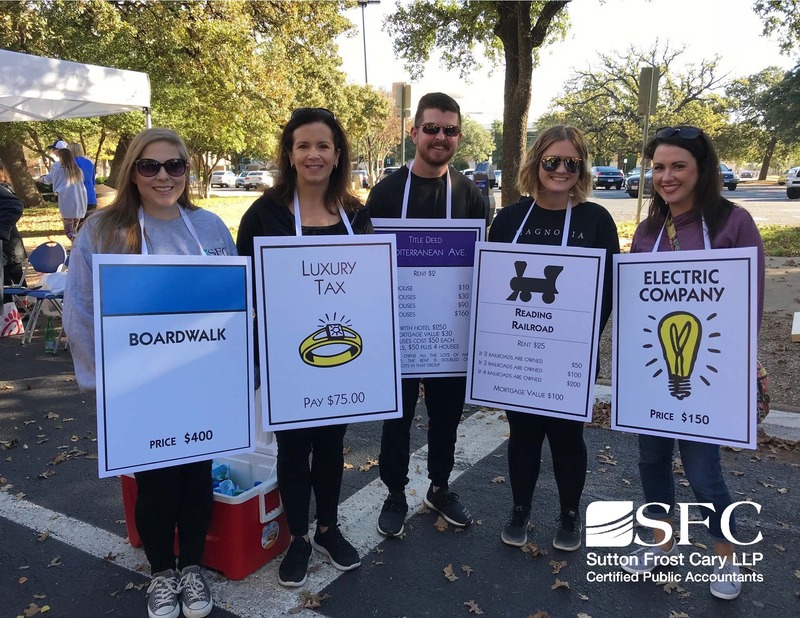 SFC always enjoys being involved with this competition and is looking forward to the cook off next year!